Fitzroy Crossing, located in the Southern Kimberley, takes its name from the cemented boulder crossing of the Fitzroy River. It is a small centre supporting the nearby cattle stations and has a congregation of ten different language groups. While some artwork was produced prior to the 1980s, it was the development of the Mangkaja Art Centre that really allowed the creative abilities of both younger and older artists to develop. The people of Fitzroy Crossing represent a diversity of language and cultural groups derived from the initial river inhabitants, the Bunuba, Nyigina and Gooniyandi people, the Wangkatjungka and Walmajarri groups from the south of the Great Sandy Desert. 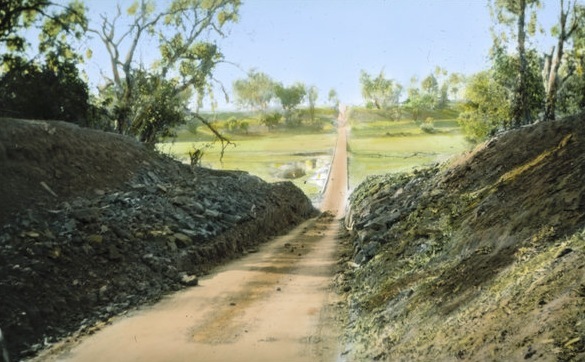 The township of Fitzroy Crossing was sited at the most convenient crossing point of the Fitzroy River in the late 1800s, which tended to flood and delay travellers for months at a time. To cope with the influx of stranded travellers, an inn, police station, and hospital were later built. Parallel to these developments, the Fitzroy River inhabitants engaged in a vicious clash of cultures with Aboriginal people suffering great losses and near annihilation through the 1890s. The few surviving people finally conformed to the ways of the pastoralists and during this period, many Walmajarri people from the desert fringes moved into the region to work on the cattle stations. The River people found it difficult to maintain the law and a somewhat ‘underground’ arrangement was maintained. However, both groups went on to managing a situation whereby a cultural alliance evolved with both adapting their law. In the 1950s, the Wangkatjungka people from more remote parts of the Great Sandy Desert moved north into the River country. Having had no real contact with pastoralists, their culture and law was strong and unaffected which impacted on the rituals of the Walmajarri and River groups. 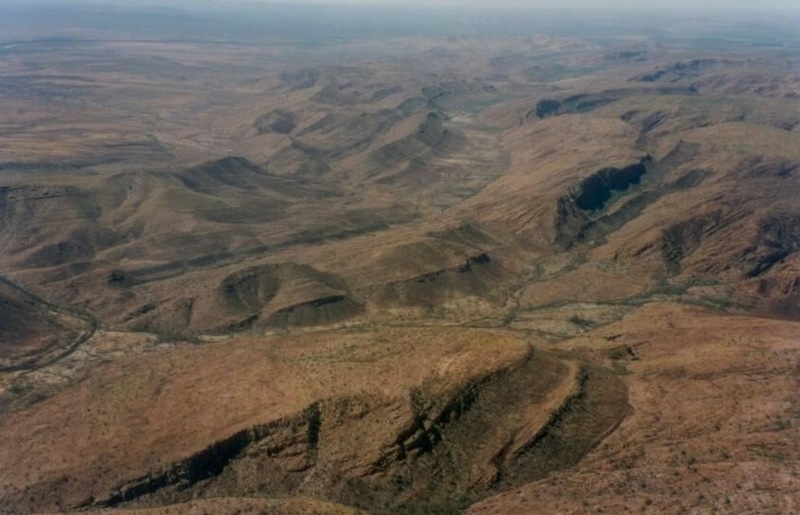 Fitzroy Crossing developed into a conglomerate of multilingual previously disparate Aboriginal groups, which was to impact on the imagery and style of the artwork that was to develop. With many Fitzroy Crossing inhabitants born away from their country, there was a decline in intimate knowledge of sacred sites and an embracing of a somewhat generalised mythical vision. In the 1950s a United Aboriginal Mission was established. In 1981 a group of senior men sought English classes and as a result, Karrayili Adult Education classes commenced in 1982. Painting evolved from the literacy classes and most artists are linked with Mangkaja Arts, a Walmajarri word for wet weather shelters. The Art Centre, which is administered by the Karrayili Adult Education Centre, was established to relieve poverty, helplessness, distress, suffering and cultural loss. The art centre has built a reputation for colourful contemporary works on canvas which are generally uninhibited and gestural. Initially the artists worked only on paper and did not receive the same success as other communities where art production revolved around canvas. However, today the centre is respected for its works on paper and limited edition prints, and paper remain a popular medium for many of these artists. Mangkaja Arts also has a tradition of large-scale collaborative projects and has produced major works such as the epic Ngurrara Canvas 1, a collaborative piece created for the Ngurrara Native Title Claim of 1996 which maps their country. Both Ngurrara 1 and a further monumental work were shown in the Tandanya National Aboriginal Cultural Institute in Adelaide and reflected the energy associated with the Ngurrara Native Title Legislation claim that came into play in the early 1990s. The third banner was a commission by the National Gallery of Victoria for its seminal exhibition, The Images of Power. In 1991, the women created work especially for an exhibition curated by Hetti Perkins at the Art Gallery of New South Wales, which showed the life styles of the women, who all lived on their traditional lands.